Cagayan, Isabela, Kalinga, Apayao, Ifugao and Mt. Province are under Signal No. 3 and should expect winds of 121-170 kph in 18 hours, which are strong enough to damage structure and cause widespread power and communications disruption. The Philippine Atmospheric, Geophysical and Astronomical Services Administration warned of possible storm surges along coastal areas and waves as high as 14 meters. 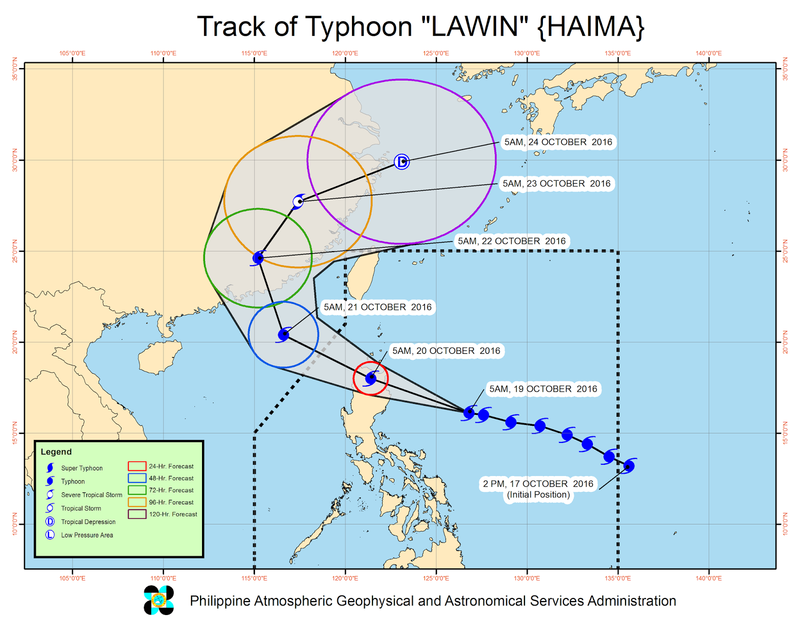 Rainfall is expected to be moderate to heavy within Lawin’s 700-km diameter. Signal No. 2 (61-120 kph winds in 24 hours) is up over the Calayan Islands, northern Aurora, Quirino, Nueva Vizcaya, Benguet, La Union, Ilocos Sur, Ilocos Norte and Abra; and Signal No. 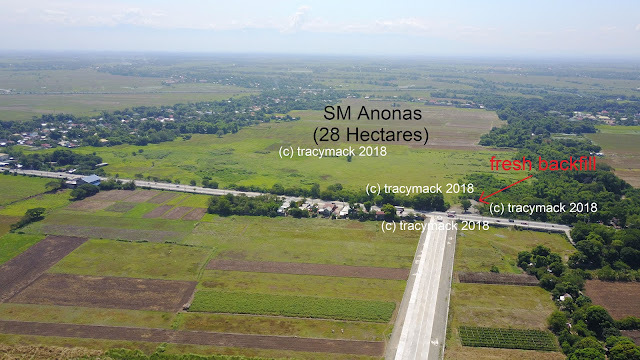 1 (30-60 kph in 36 hours) over Batanes, Tarlac, Pangasinan, Nueva Ecija, the rest of Aurora, Zambales, Pampanga, Bulacan, Bataan, northern Quezon including Polillo Islands, Rizal, Laguna, Camarines Norte, Camarines Sur, Catanduanes and Metro Manila. Stormy weather with rough to very rough seas should be expected over the Cagayan Valley and Cordillera regions, and the provinces of Ilocos Sur, Ilocos Norte and Aurora. Rains and gusty winds with moderate to rough seas will be experienced over the rest of Central Luzon and the Ilocos, Metro Manila, Rizal, Laguna, Camarines Norte, Camarines Sur, Catanduanes and northern Quezon including Polillo Islands. Cloudy skies with light to moderate rain showers and thunderstorms will prevail over the rest of the country.